You must make reservations at least 5 minutes in advance of the time at Duende. Half a block from the 19th Street BART station. Memorable events begin with thoughtful planning. Duende offers several options for large groups. Chef Paul and the Duende team will work with you to design a unique dining experience for your special event. Duende is a Spanish-inspired, neighborhood restaurant located in Oakland’s Uptown district, featuring a modern and casual dining experience, a cutting-edge cocktail program, and an inviting Spanish-based wine program including more than 20 sherries by the glass! This was my second time here and I absolutely love the food, service and ambience. The food was absolutely delicious. Everything we tried so far. The waiter was super attentive and thoughtful and the ambience with the dark wood and unique decor was romantic without feeling stuffy and intimate. Would recommend this restaurant and would come back again! Food is tasty and very pretty! Sangria was okay, but wine and other cocktails are amazing! I brought a party of 6. We had many unusual small plates and share a meat paella. All were delicious. Our server couldn’t have been more helpful. Will definitely recommend. We were a large party and the waitress was always friendly and upbeat. The food did take a while to come out, but it was delicious. I love the food here, the service seemed a bit rushed this time though...but overall great! Good ambiance--certainly the highlight of the experience! Would be great to come for some light tapas and drinks before a show. Overall I don't think it was a great value. We spent around $50/person and left a little tiny bit hungry. The paella was definitely the star. I also loved the fried cheese honey things. I don't know if my taste buds have changed or if the chef at Duende has changed but it's not as tasty as I remember from my first visit. The sauces were heavy, the bruschetta dry, the cannelloni too creamy, and the bill pricey (with a couple of glasses of wine). And the chairs are very uncomfortable yet better than the bar stools that accompany the bistro tables. Service was good but I think I'll just go for drinks and appetizer next time. Great dinner. Food was delicious. would definitely go back again. At times I felt like the waitress forgot about us. She was nice but not very attentive. The wine was ok- not great. FOOD and Atmosphere amazing! Duende is one of the best restaurants in downtown Oakland. I highly recommend it. Great location for a pre-show meal before an event at the Fox! Good tapas, good for groups! The service here is great! It was very very noisy but lively. Overall the quality of the food was terrible! 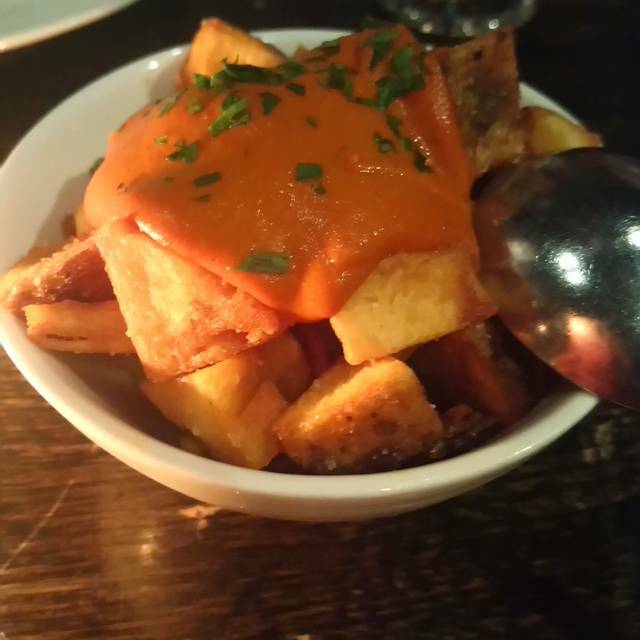 We ordered the Patatas Bravas - this simply was cubed potatoes with some kind of spicy tomato paste on top. My husband and I shared the Paella which was greasy and heavy handed on the spices. We will NOT be returning. We had a nice leisurely mean at Duende, arriving 5:30 on a Friday to start with a drink at the bar, and moving on to dinner when the place was largely still empty. By 6:30 it was popping! Great vibe. Our server was good. Attentive, offered information, gave wine samples. He did seem to fade away after awhile, and may have been bummed that we occupied our table talking and enjoying ourselves for quite some time (3 hours), which was not ideal for him. Our waiter forgot to return our boxed up leftovers to us with the check - and we ended up forgetting as well and left without them. (Bummer.) We had the noodle paella with duck on top, which I found to be a bit heavy and the flavors uninteresting. The gruyere croquettes were yummy and the brussel sprouts a bit dry and not many of them. A really fantastic wonderful meal, with lots of interest in both the atmosphere and the food itself. Nice wait staff who knew what they were talking about. My only issue would be that our table was connected to other diners through the wall, and the other diners kept thumping something on the table which was quite distracting both in movement and noise. Unique Food in a Unique Setting with Unique Artwork!!! We paid 42 bucks for a two person paella. It turned out to be a platter of burnt rice, about 6 clams with no flavor, and two sausages that were overcooked, small, and basically cheap. This was a major ripoff. Food is outstanding but the service is spotty if not incompetent. Prices are extremely high for portion size. The small plates were very good. We had the tuna carpaccio, the beef tartare and the cabbage salad which all were excellent. We shared a meat paella for two and it was plenty for four. For dessert, we had biscotti and walnut pear torte. The wait staff was very attentive and paced the plates. Beautifully appointed and staffed by sweet people. Would love to see music back here. Great dinner at Duende. We had tickets to the theatre. We were able to eat at a relaxed pace and make it out on time without being rushed. Food was delicious! Excellent service from the staff. Ask to sit downstairs- upstairs lacks ambiance and was super warm. Food and cocktails are always delicious. Service was professional and thorough. Dependably great place to eat. We tried all new things this time and found them all yummy. Their salads and cocktails are excellent frames for their wonderful tapas. We have been to Duende several times, always delightful. Well informed servers, delicious food, charming ambience. 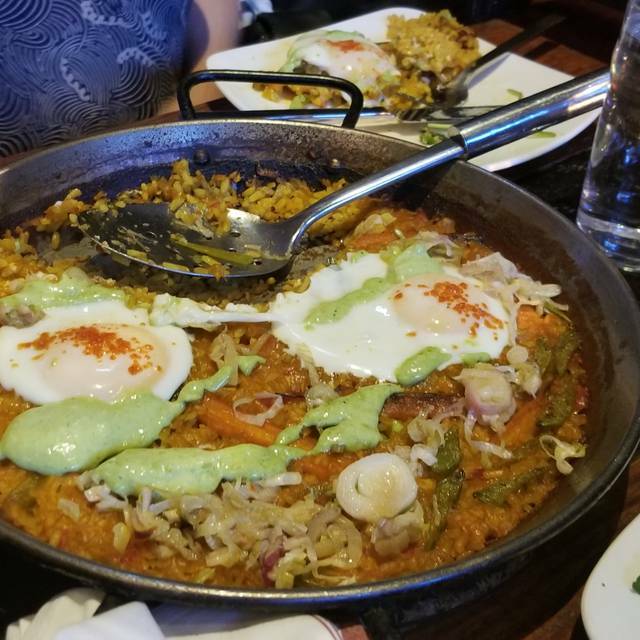 Recommend for date night, evening with friends, or any time you just want delicious Spanish food in a warm, inviting space. Went here for by birthday with three girlfriends. They really went out of their way to accommodate the vegan in the group - with sauces and cheeses on the side. And OMG the paella was delicious. Thank you! We came here because Duende was highly recommended on OpenTable. 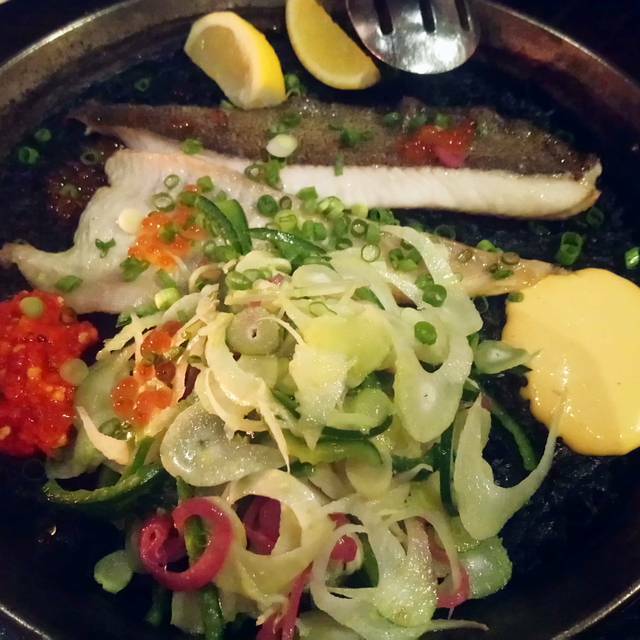 We found the food to be OK at best and the paella, which should be their signature dish, was a big disappointment. We don't know why this place is so highly recommended, but they do have a few highlights including their romesco sauce (yum) and a couple of the tapas plates, notably the patatas fritas. Also the service was really good. However, the sangria was bland and seemed bereft of fresh fruits. 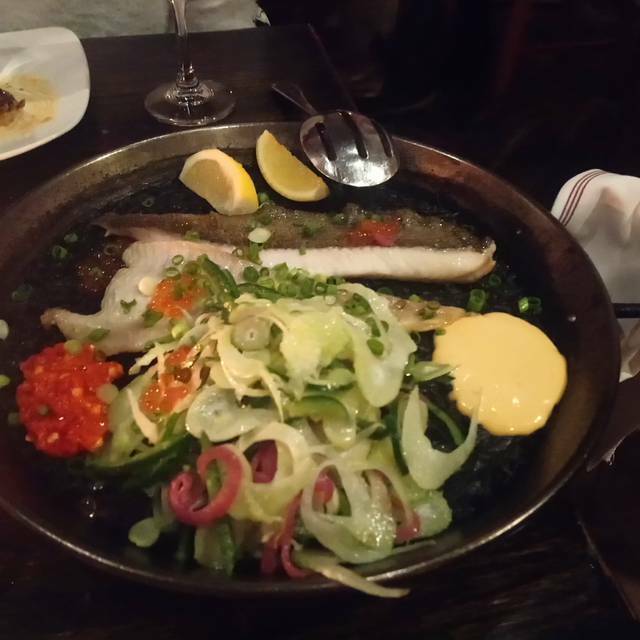 The paella for two seemed like an exercise in selling $6 worth of food for $42. 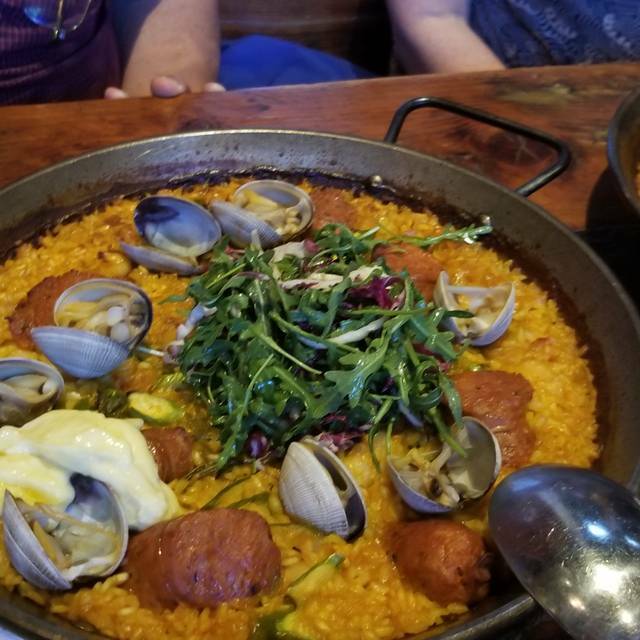 We suggest these substitutions to make the paella more delicious: shrimp instead of brussels sprouts; scallops or mussels instead of gigante beans, and chicken instead of that weirdly flavored sausage. Also throw in another 3-5 clams. We paid and left a decent tip but won't be back. The service and food was spectacular. We were 10 minutes late because of the rain and traffic and when we called to let the restaurant know, we almost cancelled because the host said we’d only be allowed to sit at our table for an hour. So we didn’t order the more expensive dishes. I am not sure we will return knowing that our meal and table is so closely timed. There are other restaurants that are just as good, if not better, where we would be received more graciously. Our appetizer and their salad were delicious, I would go back for those again. Our paella was so so and the service wasn't very good, but I think that was just our one waitress. We love Duende. It never disappoints! 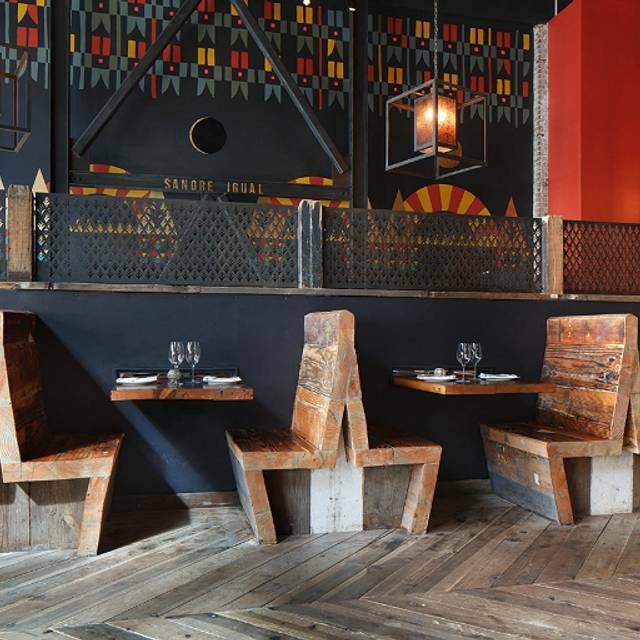 Duende is a restaurant with great food that is matched by the interior design. 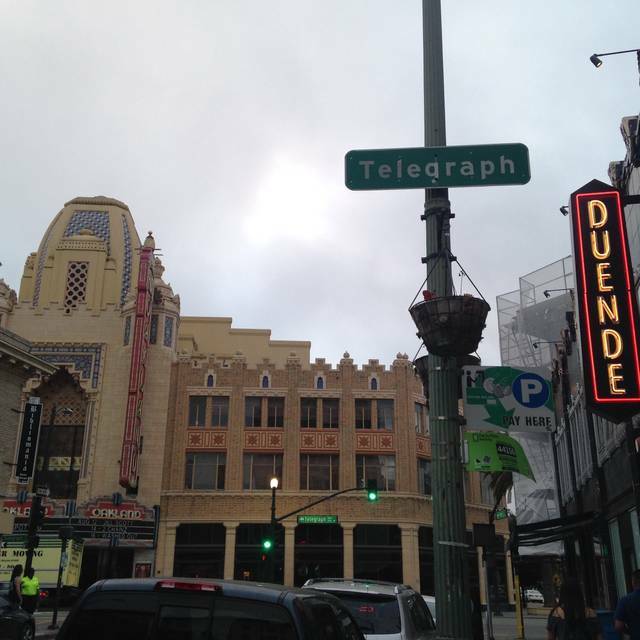 My friends and I shared a meal at Duende prior to a show at The Fox Theater. From the ensalada de col to the flan de chocolate, every bite was mouth watering. I can't engender the last time that I had a meal this good. We will definitely be visiting Duende again in the near future. We had 4 tapas and a small paella amongst 4 and it was perfect amount of food. The gin and tonics were exceptional. Excellent on all counts. Great Spanish food; gracious, unobtrusive service, pleasant ambience. At least upstairs, you can have a conversation, increasingly difficult in many otherwise good restaurants.